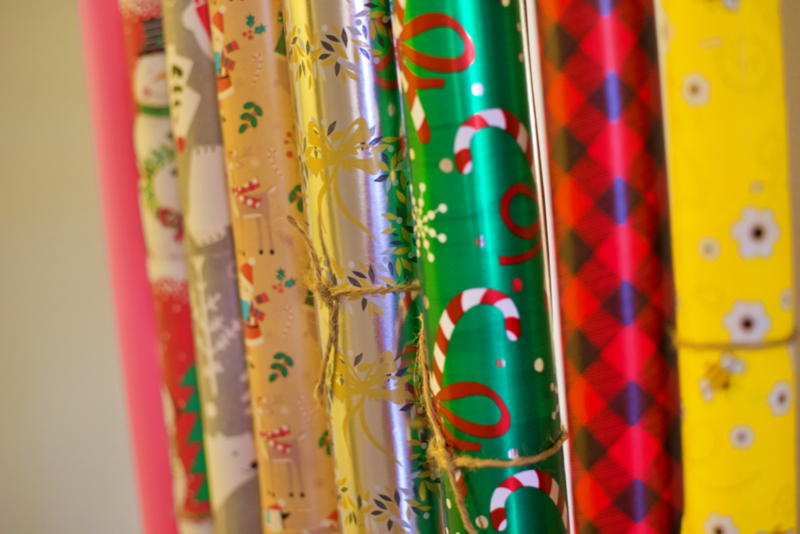 Are you looking for a simple way to organize all the wrapping paper you have left over after the holidays? I was too, up until a week ago that is. 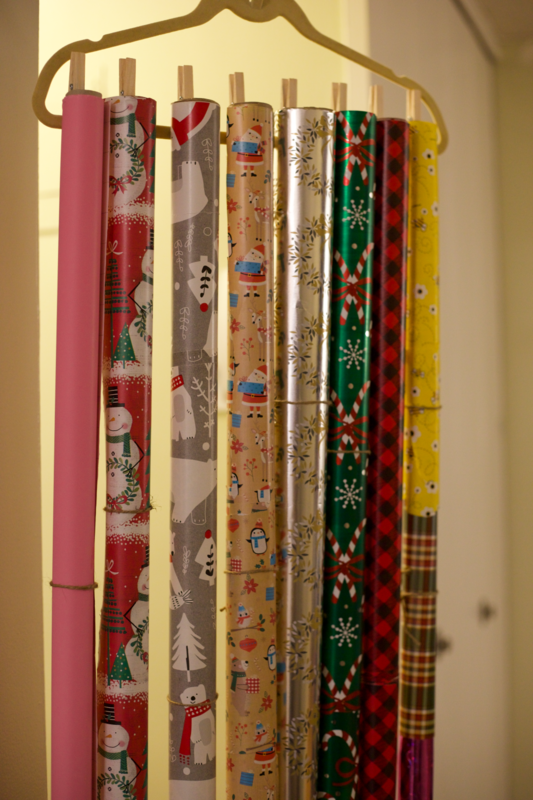 I’ve accumulated so much wrapping paper throughout the years, especially holiday paper. I never feel as if I have enough so I always end up buying extra. Plus, I just can’t resist grabbing some of those rolls that I’ve been finding in places like the dollar tree. They’ve really been stepping it up these last few years with their prints. I took a look at what solutions I could find online for wrapping paper organization but I couldn’t find anything that would work for me. I’ve tried a few of the popular solutions roaming through Pinterest and the web but none have really worked. 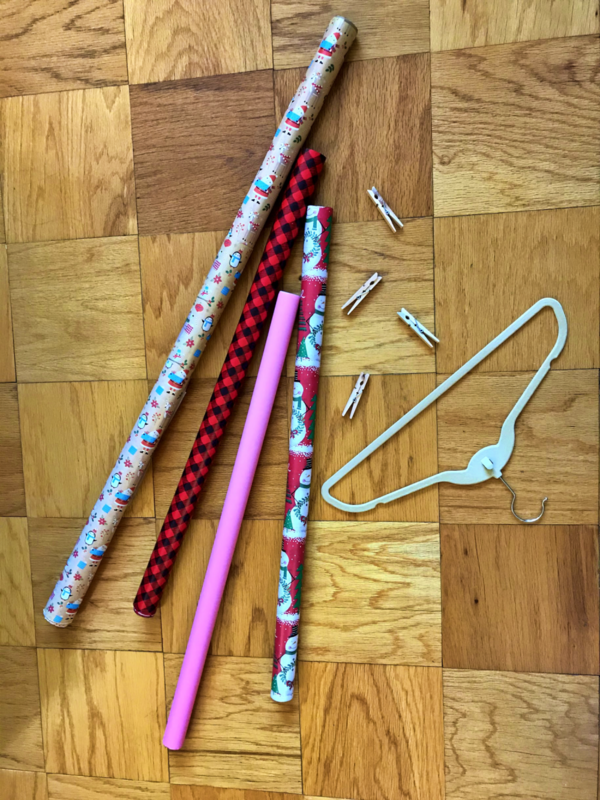 Has anyone ever seen and tried the garment bag hack for organizing wrapping paper? Have you had any luck with that? I tried it, but sadly the rolls were just flopping all over the place when I raised the bag. Not my idea of organized. Luckily I came up with an idea after a trip to the dollar tree. That store really gets the creative juices flowing! We like simple and cheap, right? 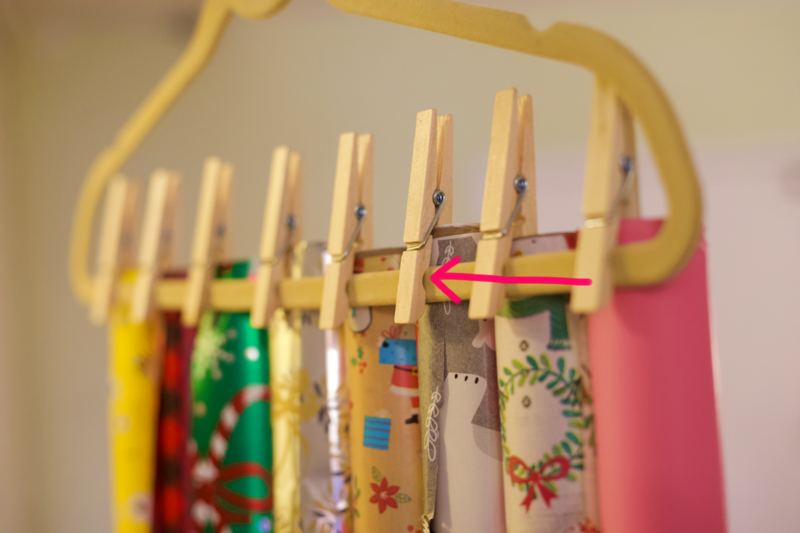 Hang the wrapping paper on a hanger using clothespins! Let’s jump into this, with lots of pictures to guide you. Because let’s face it, we’d rather look at a bunch of pictures as opposed to read and read and read. That gets boring no matter how witty and funny someone can be. Not that I’m witty. Or funny. But I try my best to crack a joke here and there. Is “or funny” even a proper sentence? Probably not. Oh well. Sorry, I tend to get off topic very easily. Please excuse me. 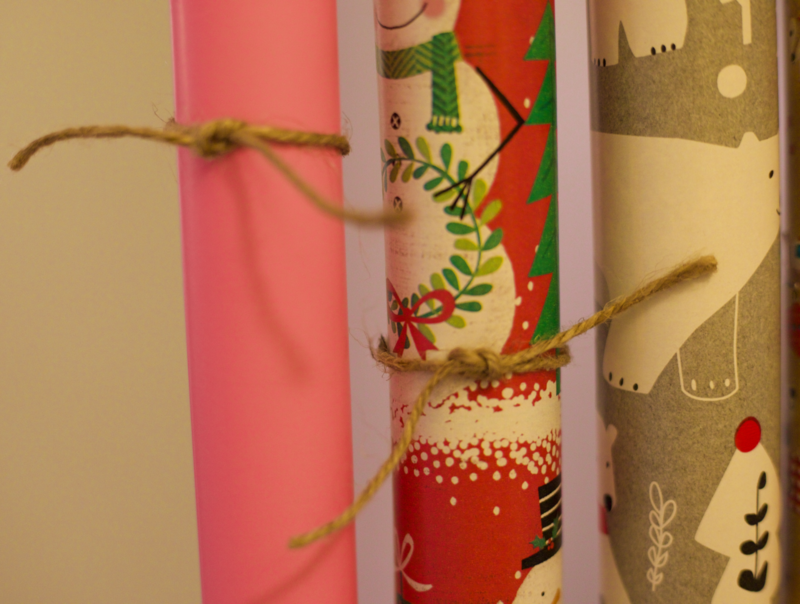 A hanger, clothespins and of course the star of the show, all your wrapping paper rolls in need of a home. I used a slim, non-slip hanger because I already have those at home but you can use any hanger that the pins can easily clip onto. 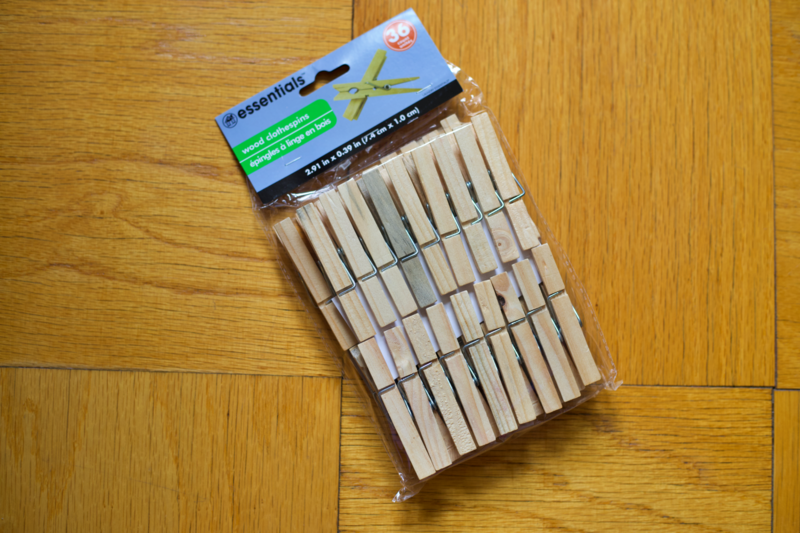 FYI: The dollar tree has large packs of clothespins. I love that store! 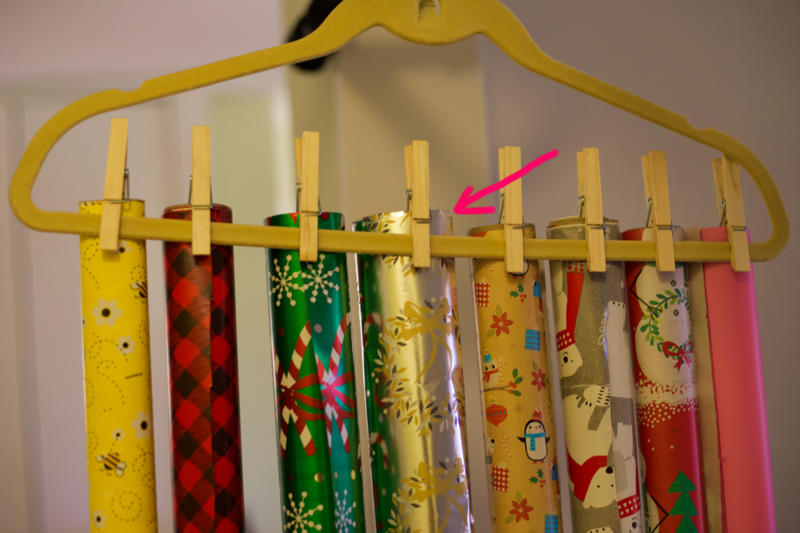 Clip all the wrapping paper onto your hanger using the clothespins. You may want to hang up the hanger somewhere while your clipping the rolls on. This will just make it easier. 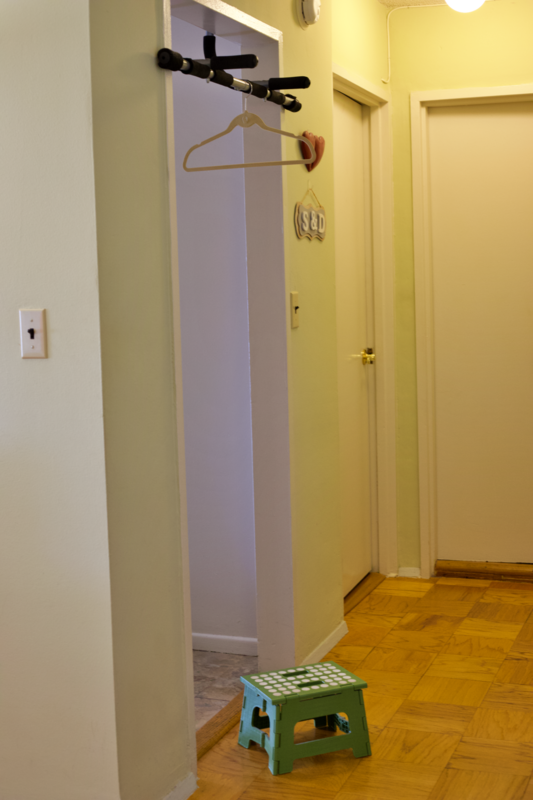 I used a pull-up bar we have in the kitchen entrance and got up on a small step stool to easily reach the hanger. You can also try hanging it up in a closet or a shower rod. Be sure to clip the rolls up high enough that it’s over the hanger and far into the clothespin. That’s so that the clothespins have a good grip on the rolls and they don’t fall off. That roll actually fell off right as I was about to take the photo below. I was kind of upset about it and it may be a bit noticeable by my face (that barely has a smile!, lol) I knew there was no way I could recommend something that didn’t work. But after I fought back the tears that were trying to break through, I went to play inspector gadget and see if I could figure out what went wrong. Luckily it was a simple fix! One Last Tip: Make sure to clip the clothespin in a way that the rounded opening is right on the hanger. That also helps secure the wrapping paper onto the hanger. I managed to get eight rolls on the hanger but there was still space for about 1 to 2 more rolls if I just pushed everything closer together. So there you have it. Organized Wrapping Paper! Once you are done you can hang it up in a closet which is what I will be doing or on the back of a door using a door hook. Good To Know: Most of my wrapping paper is from the dollar tree and target. They are not very heavy at all and most have been used up at least halfway through. If you have rolls with endless amounts of wrapping paper then this may not work for you because the rolls may be too heavy. If you decide to still give it a try I would recommend using two clips per roll. One thing that is is important to mention is how to keep the rolls from unrolling. 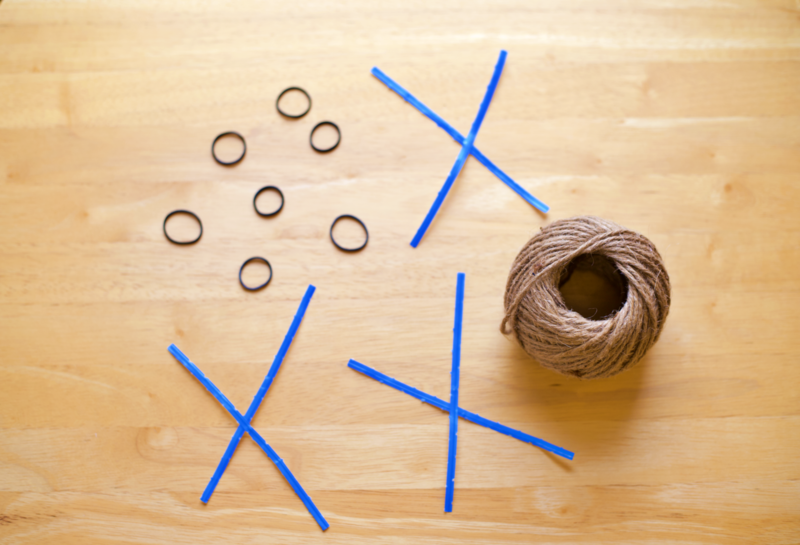 A few options would be twine, mini rubber bands, and twisty ties. I used twine, like the one I used in my post “Small Linen Closet Organization“. I just gave it a double knot on each roll. No issues with wrinkled wrapping paper so far. 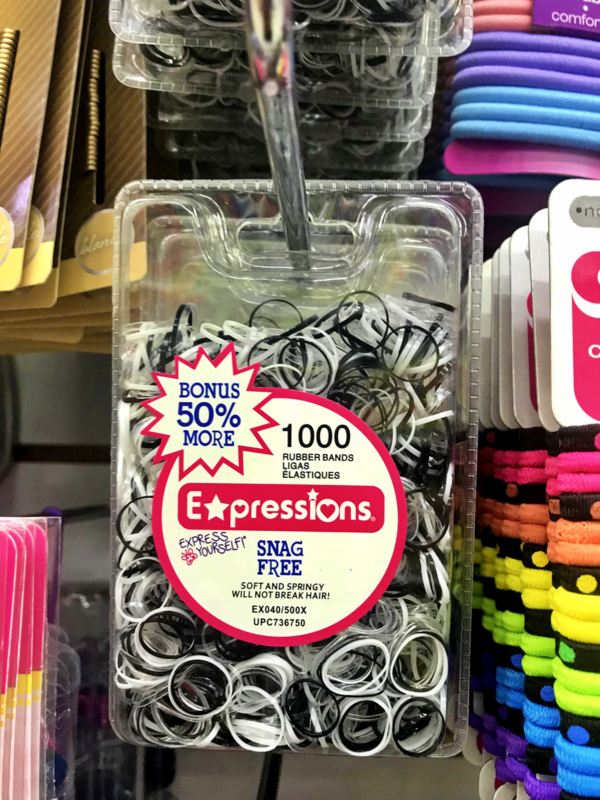 I found mini rubber bands, if you’re interested, at the dollar store (not dollar tree) for $1.29. You can find them in the section with all the hair accessories. I did leave a few rolls with rubber bands on for a couple of days to see if the wrapping paper would wrinkle and none of them did. I couldn’t find twisty ties at any dollar store/tree which I found odd. But if you have any laying around (like in a junk drawer) you can just tie two to three together to make them long enough to wrap around the rolls. I did see them on Amazon for about seven dollars but they were a pack of about 100. That’s a bit much for this project unless you have the largest and coolest wrapping paper collection ever. Then by all means, check out Amazon for twisty ties. That’s it! Hope you found this blog post useful. Comment below if you decide to give it a try and let me know how it turned out.